In 2012, when cuts to local government budgets were biting hard, Nicholas Hytner – then director of the National Theatre – held a press conference at which Danny Boyle was joined by 23 artistic directors of regional theatres. The aim was to highlight the imminent threat posed to our organisations by these deep cuts, as well as the high return our cities and towns received on the investment in their local cultural centres. Four of us gave keynote speeches at the beginning of the conference. One of those was Gareth Machin, the excellent artistic director of Salisbury Playhouse. In his speech, Gareth talked eloquently about the nature of risk and how its implications were different according to a variety of factors that were location-specific. A risk for a 500-seat, main-house theatre in a rural market town is entirely different from that in a 1,000-seat auditorium in an urban setting. When attempting to understand the economic dynamics of our regional theatre, this is an essential point to grasp. Those of us in charge of running venues are continually having to manage risk. If we are to offer healthy challenges and surprises to our audience, how can we do so within the bounds of financial prudence? In a review in the middle of our Chichester Festival season this year, a critic made a plea for us to be bolder in our risk-taking in the main house (which, by the way, is a 1,300-seater in a rural city). I know everyone nowadays baulks at the very mention of the word ‘journey’, but nevertheless the cliché holds some store. Our aim is to take the audience with us as we introduce them to new kinds of voices, alongside the familiar voices that they know and love so dearly. So, this season, we’ve been able to balance Noel Coward and Enid Bagnold in the main house with Debbie Tucker Green, Charlotte Jones, Laura Wade and Mike Bartlett in the studio. Perhaps an even bigger, though subtler, risk for us has been to place a new British musical in the main house. 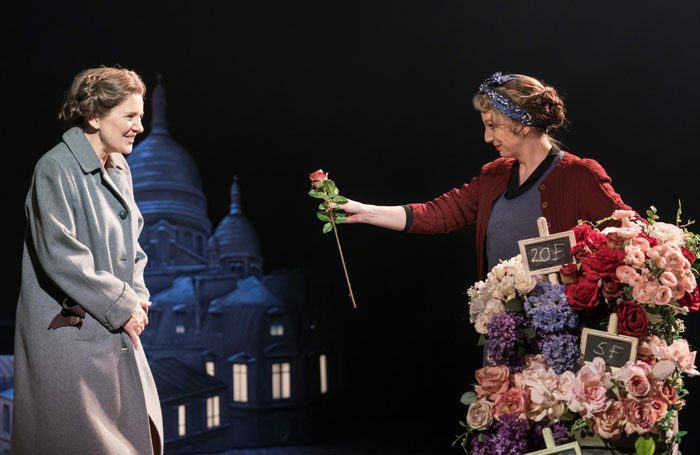 While it’s smaller in cast size than our usual summer musical – 10 as opposed to 24 – Flowers for Mrs Harris is no smaller in scale, including 10 in the band. Crucially, it’s a relatively unknown work that’s playing to a huge auditorium. We had absolutely no idea whether it would catch our audiences’ imagination. Following the musical, we’re mounting the first ever family show in a Chichester Festival season. Again, what could seem to be an obvious decision is actually quite a risk for us, as we ask our audiences to take a chance on a new pattern of theatregoing. Without Coward, Bagnold, William Wycherley and Michael Frayn (two other writers this season), we couldn’t begin to think about taking these risks – and we have everything crossed that the risks pay off.